Prunes for Osteoporosis • How Many Prunes a Day for Bone Health? Are there benefits if you eat prunes for osteoporosis? Is there scientific evidence showing that prunes improve bone density or slow down the erosion of bone? How many prunes a day should you eat if you want to see benefits for your bones? Those of you concerned about gaining weight might want to know how many calories in a prune and how many carbohydrates in prunes? I set out to answer these questions and learn more about this major food source. I consulted research published in 2017 on the topic and consulted with the leading researcher on prunes and osteoporosis. Before we get into the details of the research, lets present the benefits of prunes for osteoporosis. Research demonstrates that daily consumption of prunes is beneficial for post-menopausal women with osteoporosis. Prunes slow down the turn-over of bone by enhancing bone formation and inhibiting bone resorption. The effectiveness of prunes for osteoporosis can be compared with osteoporosis medications such as bisphosphonates and Prolia but without the side effects. However, prunes alone are not the answer to stronger bones and fall reduction. You should follow a number of other healthy habits including practicing a bone healthy osteoporosis exercise program, getting adequate levels of calcium from natural sources, and consuming Vitamin D and Vitamin K.
What is the relationship between prunes and bone density? In this section, I present the work done by two leading researchers on prunes and bone density that support the role prunes play in improving bone health. We start with recent work done by Dr. Taylor Wallace and then go to an interview I had with Dr. Shirin Hooshmand. A comprehensive review in 2017 by Dr. Taylor Wallace at the Department of Nutrition at George Mason University was published in the Nutrients journal (1). His review examined twenty-four published studies on prunes and osteoporosis. 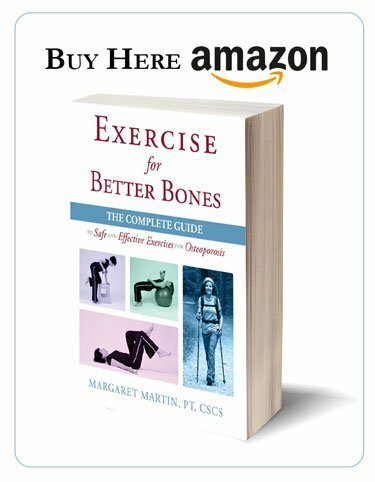 I reviewed this publication and interviewed Dr. Shirin Hooshmand, Associate Professor at the School of Exercise and Nutritional Sciences at San Diego State University, about the subject. Dr. Hooshmand is a leading researcher on prunes and osteoporosis. Dr. Shirin Hooshmand is the Associate Professor at the School of Exercise and Nutritional Sciences at San Diego State University. 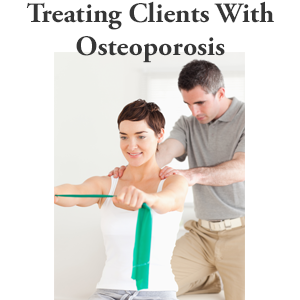 Dr. Hooshmand is a leading researcher on nutrition and osteoporosisosis. Her research focuses on the role that natural and synthetic compounds play in the prevention and treatment of osteoporosis, osteopenia and low bone density. I met Dr. Shirin Hooshmand at the National Osteoporosis Foundation meeting in New Orleans. 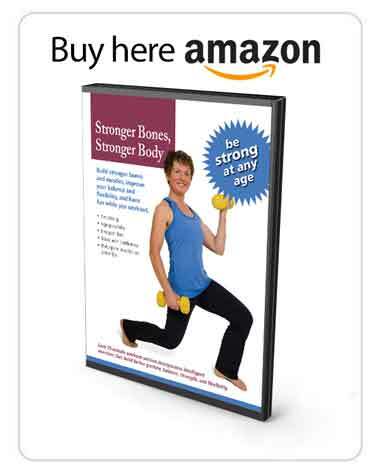 She recently completed a study that identified the best food for osteoporosis. The answer: prunes. Dr. Hooshmand states that almost 12 years of research has shown that dried plums or prunes are the most effective food for improving bone density in humans and animals. Her research shows that 100 grams of prunes (about 9 to 10 prunes) per day is the most effective dose. Dr. Hooshmand explained that post-menopausal women are prone to bone loss. 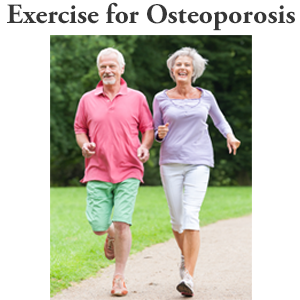 They lose normally 1 to 1.5% bone per year if there are no treatments including hormone replacement therapy or bone medication such as Prolia or bisphsphonates. Both short-term and long-term clinical studies have shown that 100 grams of prunes (which is equal to 9 to 10 dried plums or prunes per day) is the most effective food in terms of reducing bone loss and preventing bone loss. Dr. Hooshmand published a study in 2016 on the effectiveness of lower dosages of prunes. She found that some of the people in her earlier study were concerned that 100 grams is too much, especially if you have a small body frame. One hundred grams of prunes is equal to 240 calories per day. Her team studied the effectiveness of a lower dose of 50 grams, which is equal to 5 to 6 dried plums or prunes per day. They tried to determine if the lower dose could be as effective as a 100 gram daily dose. The study (2), published in 2016, showed that women who took a daily does of 50 grams a day of prunes for a six month period prevented a loss of total body bone mineral density and that the lower does may be as effective as the higher daily dose of 100 grams. However, the study did not show a loss prevention in the hip or spine. Some scientists who reviewed this study speculate that the loss prevention did not show in the hips and spine because of the short six month duration of the intervention and therefore, the lower dose might, in the end, be very effective. Dr. Hooshmand plans on doing longer term studies to address this question. Therefore, Dr. Hooshmand recommends 50 grams of prunes per day. How Many Prunes a Day Should You Eat? To get the best results, Dr. Hooshmand (and other researchers) recommend that you consume 100 grams (between 9 and 10 prunes) a day. If you are concerned about weight gain or you are on a low carbohydrate diet, then you can reduce your daily dose to 50 grams. If you have diabetes, you might want to limit your intake of prunes because of the sugar composition. Finally you should also monitor your laxation because of its effects on constipation. How Many Calories in a Prune? The table below breaks dow the nutrient composition of prunes including specifying how many calories in a prune and carbohydrates in prunes. A daily serving of 100 grams of prunes (between 9 and 10 prunes depending on size of the prune) has 240 calories. The USDA has published a detailed breakdown of the nutrient content of prunes. How Many Carbohydrates in Prunes? A daily serving of 100 grams of prunes (between 9 and 10 prunes depending on size of the prune) has 65 grams of carbohydrates. Net carbohydrates (carbohydrates less the dietary fiber) amounts to 57.5 grams. Net carbohydrates affect your blood sugar level. There are a number of important health benefits of prunes beyond improving bone health. Prunes have high dietary fiber content and significant amounts of phenolics (chlorogenic acid) and sorbitol. 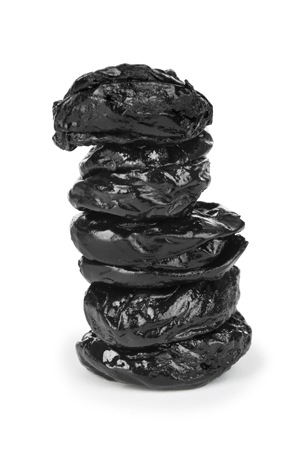 As a result, prunes have a laxative effect and can be an effective and natural way to treat constipation. There are a number of important vitamins in prunes. A serving of four prunes provides 280 milligrams of potassium and 22 micrograms of vitamin K. Because prunes have a higher amount of vitamin K compared to other popular fruits may help improve calcium balance more than other food sources. Recent research is clear that prunes are one of the most beneficial foods for osteoporosis. They also have other health benefits and they have few, if any, side effects. Some individuals have reservations about how many prunes they should eat daily. While 100 grams a day appears to provide the best results, new research is showing that you gain considerable benefits by consuming 50 grams a day. If you are sitting on the fence, you need to balance the clear benefits of eating prunes daily on the health of your bones as compared to what you believe to be the costs associated with prune consumption. The effect of two doses of dried plum on bone density and bone biomarkers in osteopenic postmenopausal women: a randomized, controlled trial, Hooshmand, Osteoporosis International 27(7), February 2016. Dr. Shirin Hooshmand is an Associate Professor at the School of Exercise and Nutritional Sciences at San Diego State University. Her research demonstrates on prunes and osteoporosis that prunes play significant role in the prevention and reversal of osteoporosis. Here is an interview she did on behalf of the California Dried Plums Association. Thank you very much for your thoughtfulness on having video transcript for the Deaf and Hard of Hearing viewers! I think one has to be aware that unless they are organic, dried plums or prunes, may have sulpher added as a preservative. This additive/preservative is not good for health. The cost of non-sulphered prunes is quite a bit more than the sulphered ones. In regards to the article on the prunes. I wonder which type of prunes they used/organic or not? I wonder if the sulphur, which is generally considered bad for you, actually had something to do with the results. Just curious!! There was no mention during her talk on the prunes being organic. Plums are as beneficial as prunes but not available year round by all and so that was the reason they chose prunes. My guess is that the prunes were non organic, making them more readily available. Might have to go back and read her study to see if there is mention of this. Life is a constant challenge of weighting cost and benefits! See comments above. Hi Carol, Your welcome! It is not always possible but we try most of the time. I am in Australia and I am allergic to sulphites so I wrote to a prune producing company and told them this and said that while I like prunes and would happily eat lots of them I could not eat them if they had sulphites in them. They wrote back and said they were working on reducing the sulphites and eventually eliminating them and they did. I can now buy them in the supermarket and they are preservative-free and cause me no strife but only benefits. That was quite a few years ago. And now although I used to like eating them before, I’m concentrating on eating them more to control my osteopenic spine and I can already tell it is working. They do not mention prune juice. Do I have to eat the prunes dry or can they be cooked? I usually do them in the microwave with some water, on high for approximately five minutes. In speaking to the researcher who conducted the study she indicated that the prunes could be consumed in any form. Enjoy! In speaking to the researcher of the study she clearly stated that you could enjoy them any way you like, cooked or dry. Fascinating and exciting, thanks for this information. Toni Lewis Kane- I have the same problem with reflux and I too was wondering about the acidity. Thank you for this information. I am very excited to find an affordable food that is easily found and you don’t need to eat pounds of it to see benefits. Just wanted to verify that even though prunes stop bone resorption that that doesn’t cause Bad effect like the medications? Also, could rosanne please state which company does not use sulphites? I am also curious as to your opinion on calcium from red algae? Love your book and the exercise routine in it! On another subject. I suffered a car accident Oct of 2017, that resulted in compression fracture with several fractured verterbrae have osteoporosis, and multiple myeloma; I had an autologous transplant May 1 of 2017. My spinal column has been cracking during physical therapy, specially when I’m lying flat my back. yesterday it cracked 3 time time almost simultaneously. Is this normal or harmful? What about those of us who like prunes but they have a deleterious effect on us… emphasis on the deleting part, lol. Is it possible to build up to eating that many? This is wonderful news, thank you so much. I love stewed plums – can I substitute these instead? Do you have any guidelines as to how much fresh weight of plums I would need to consume? I have two of your books and find them very helpful. Thank you! I spoke about the prune study with my physician. He was intrigued with the information. However, he asked if I could find the following information in the clinical studies. Number of people in the studies? Number needed to treat to achieve goals? How long do we have to take prunes? Any advise on where I can get the answers to the above questions would be welcomed. They did not specify the T-Score change (from what I could see) or how long to take prunes. For best effect, I believe Dr. Hooshmand suggests you make prunes a permanent part of your diet. I read about this a year or so ago and have been eating 5 prunes a day since then, but have no way of knowing if it’s helped. I think I’m going to stick with that amount because I limit my sugar and that’s already a lot of sugar, let alone 9 or 10 prunes! I hope that study suggested about testing 5 prunes for a year rather than just 6 months, is done soon. I would really like to know the results. The study was completed showing that 5 prunes a day were as helpful as 10 a day. If you enjoy them and can work the calories into your day then research shows they are beneficial to your bones. Despite their natural sweetness their glycemic index (GI) and glycemic load (GL) are much lower than dates or raisins. 40 g of prunes has a GI of 29 and a GL of 7.25. The same number of grams of dates and raisins have a GI of 103 and 64 respectively and a GL of 27.8 and 18 respectively. Source: Dr Murray’s book: How to prevent and Treat Diabetes with Natural Medicine. What a wonderful site. Thank you.